Our guide to Austin will help you find the best green spots in Austin Texas. There's a mystique about Austin. Even if you've lived for years in this small town turned big city, the reasons why the city functions as it does, and why it seems so different from other U.S. cities, may not be readily apparent. High-tech industries have migrated to the area, making it Texas's answer to Silicon Valley. The city has also become an important filmmaking center. Austin is an extraordinarily open and welcoming place -- a city where you're not only allowed but expected to be yourself, in all your quirky glory. The people you encounter are likely to be laissez-faire and may even be newcomers themselves. For the moment, Austin retains a few vestiges of a small-town atmosphere -- but a quick scan of its fast-growing downtown skyline will tell you that its days as a sleepy college town are long gone. There are tons of great green spots in the city of Austin, our city guide will help you find the best green spots. You may have a hard time deciding what to do in Austin, but we make your decision easy. 10515 N Mo Pac Expy, (512) 340-0090 - Chipotle Mexican Grill is a green restaurant located in Austin TX. 11301 Lakeline Blvd, (512) 331-8700 - Chipotle Mexican Grill is a green restaurant located in Austin TX. 1201 Barbara Jordan Blvd, (512) 495-9083 - Chipotle Mexican Grill is a green restaurant located in Austin TX. 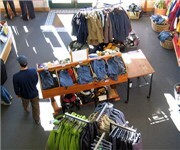 1402 Woltorf St, (512) 444-7333 - Good Seed Organic is a green restaurant located in Austin TX. 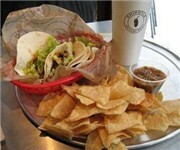 1700 W Parmer Ln, (512) 837-0114 - Chipotle Mexican Grill is a green restaurant located in Austin TX. 1807 S 1st St, (512) 442-2500 - Somnio's Cafe is a green restaurant located in Austin TX. 1914 Guadalupe St, (512) 457-1013 - Veggie Heaven is a green restaurant located in Austin TX. 2113 Manor Rd, (512) 476-5858 - East Side Cafe is a green restaurant located in Austin TX. 2113 Manor Rd, (512) 476-5858 - Eastside Café is a green restaurant located in Austin TX. 2230 Guadalupe St, (512) 320-0238 - Chipotle Mexican Grill is a green restaurant located in Austin TX. 4400 N Lamar Blvd, (512) 419-9898 - Chipotle Mexican Grill is a green restaurant located in Austin TX. 6301 W Parmer Ln, (512) 996-9538 - Chipotle Mexican Grill is a green restaurant located in Austin TX. 801 Congress Ave, (512) 391-1668 - Chipotle Mexican Grill is a green restaurant located in Austin TX. 9600 S i h 35, (512) 291-1067 - Chipotle Mexican Grill is a green restaurant located in Austin TX. 11713 Jollyville Rd, (512) 858-7034 - Angel Valley Farm-Market is a green farmers market located in Austin TX. 1416 Montopolis Dr, (512) 236-0074 - Austin Farmers Market Association is a green farmers market located in Austin TX. 2910 S Congress Ave, (512) 236-0074 - South Austin Farmers Market is a green farmers market located in Austin TX. 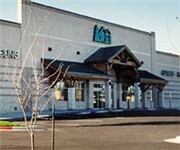 4100 Westbank Dr, (512) 280-1976 - Westlake Farmers Market is a green farmers market located in Austin TX. 412 Comal St, (512) 236-0074 - Austin Farmers Market Association is a green farmers market located in Austin TX. 422 Guadalupe St, (512) 236-0074 - Austin Farmers Market Association is a green farmers market located in Austin TX. 5405 Pleasant Valley Rd S, (512) 236-0074 - Austin Farmers Market Association is a green farmers market located in Austin TX. 6701 Burnet Rd, (512) 926-4900 - All Tex Growers Association is a green farmers market located in Austin TX. 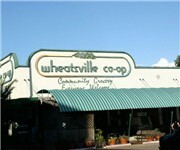 3101 Guadalupe St, (512) 478-2667 - Wheatsville Co-Op is a green food / grocery store located in Austin TX. 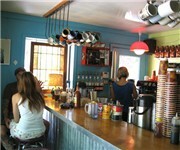 1607 Ranch Rd 620 N, (512) 266-5885 - Java Dive Organic Cafe & Bakery is a green coffeeshop / cafe located in Austin TX. There are plenty more green spots in Austin. See all green spots in Austin Texas.